Named after Calvinia's two most prominent landmarks, the Hantam mountain range, and Rebunie mountain, the latter meaning "roep my niet" ("don't call me") due to an echo that can be heard on the summit of the mountain. 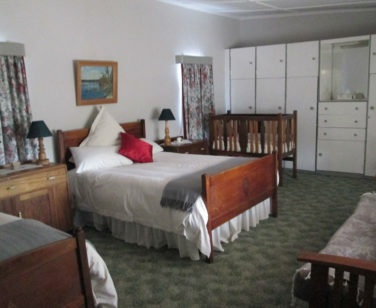 Consisting of two units, both furnished in period furniture of the 1930's ... creating familiar surroundings which brings back nostalgic memories of our parents and grandparents. The two separate family units that make up the complex are Hantam and Rebunie. 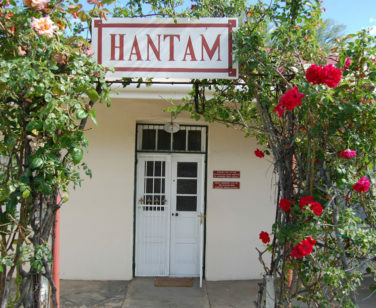 These units are completely self-reliant, although meals can be supplied at Hantam Huis restaurant at extra cost and prior booking.